The event was first promoted in 1922 by the Ulster Motor Cycle Club on a 20.5 mile Clady Circuit that was then raced on during the 1930’s by the legendary Stanley Woods on his Norton. The event was first promoted in 1922 by the Ulster Motor Cycle Club, and originally ran on the 20.5 mile Clady circuit, located just a few miles from the modern Dundrod circuit. During the 1920s and 30s racing was dominated by the legendary Stanley Woods on board Norton machinery, and following its early success the event was awarded the title ‘Grand Prix d’Europe’ in 1935. Competition was soon curtailed however due to the Second World War, but in 1947 it once again got underway, this time on a new 16.5 mile Clady Circuit. Just two years later the status of the event was elevated further, as a new World Championship was established and the Ulster Grand Prix was to be chosen as a round of this series. Over the years many of the greats raced in the World Championship on this old Clady circuit but as the event grew in popularity and bikes became faster and faster, a decision was made to transfer racing to a new 7.4 mile circuit at Dundrod in 1953. The first winner at the new circuit was Werner Hass aboard his NSU. 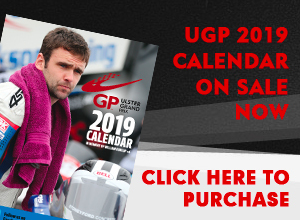 Back in those days approximately 100,000 spectators attended the Ulster Grand Prix and was one of the biggest sporting events in Ireland, and it has remained extremely popular ever since. 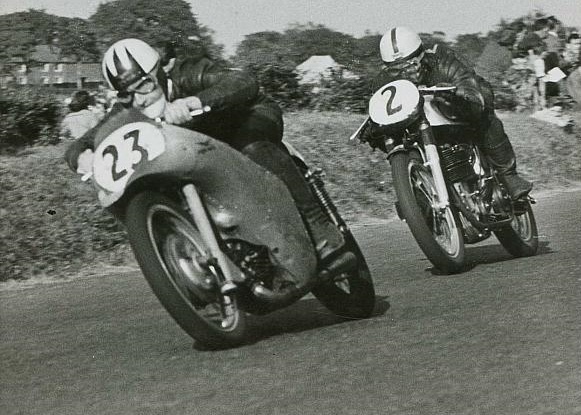 The 1960s, 70s and 80s saw legendary names such as Mike Hailwood, Giacomo Agostini, Ray McCullough, Joey Dunlop and many more do battle on track, and despite the event losing its official Grand Prix status in 1973 the Ulster has gone from strength to strength and become a key feature on the road racing calendar. Today fans come in their thousands to sample the atmosphere and famous Dundrod welcome, and the competition on track is as fierce as ever as some of the biggest names and brightest talents compete at the World’s Fastest Road Race. 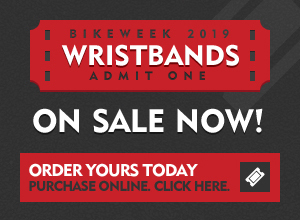 Bike Week at the Ulster Grand Prix runs from the 5th-10th August 2019 and plans are already being out in place to make it bigger and better than ever, for all ages, so if you’ve never been make sure you put those dates in your diary and watch this space for all the latest news and information.